Just one month after the mass shooting in our city, shots rang out again on the other side of the world and despite the distance, I could feel them here. The massacre in New Zealand was fueled by hatred, and though the circumstances were different, I can’t help but draw a parallel motive for the mass shooting at Pratt. Hatred. I was taught from an early age to avoid that word. I might dislike peas or a person, but to attached hatred to something is on another level. Maybe we have lost the conditioning to discern between dislike and hatred. Hatred is the highest form of contempt one can feel because it goes beyond indifference. Indifference is safe because not caring about something or someone is benign. It doesn’t evoke strong emotion or reaction because it doesn’t move someone to action or response. But hate motivates. Hate is fierce and consuming, and it drives human beings to do things that are unfathomable and unconscionable. When it takes over, everything goes dark, and everyone goes down with the person who possesses it. I called the Aurora shooter an “evil soul” and was criticized for using those words. I stand vehemently by them because I looked into the eyes of every family member who lost their loved one and through sheer transference, I felt their pain. I sat at the bedside of the police officers who were struck by the bullets as they were running towards the gunfire. Interestingly enough, the officers were unphased. They would have gladly taken more shots that day if it meant saving lives, but the faces of their loved ones told another story. I refuse to roll back or soften my words. Anyone who can feel hatred to the point of consummation where it drives an act of violence against someone else possesses evil within them. And that is not a diagnosis used to defend violent action. You don’t get to assign mental illness as an excuse because nothing infuriates me more than creating a nexus of mental illness where there is the freedom of choice. It is insulting to those battling mental health issues to be compared with those who are fueled by hatred. These killers planned their executions. One brought a gun to work knowing he was going to use it. The other wrote a manifesto in preparation of the bloodshed. Freedom of choice is the greatest of human freedoms, and when it is driven by hatred, it is calculated and evil. Period. I struggle to understand how someone can become so consumed with hating another person. Even more puzzling is hating a group of people because of their religion or race . Maybe that is the crack in my argument where some will affix mental illness to illustrate that the level of disdain can only be explained as being ill. I understand the need to have a diagnosis so it’s easier to grasp, but I’m not there. Right now, I’m disgusted by these human beings who take out their anger and hatred on innocent people. Hate alone is a powerful thing and adding a firearm to that toxic formula is a force multiplier that ensures the keeper of the hate can do as much damage as possible. In Aurora, we have a strong and vibrant Muslim community. Our Muslim brothers and sisters from New Zealand are seemingly a world away but they are us, and we are them. 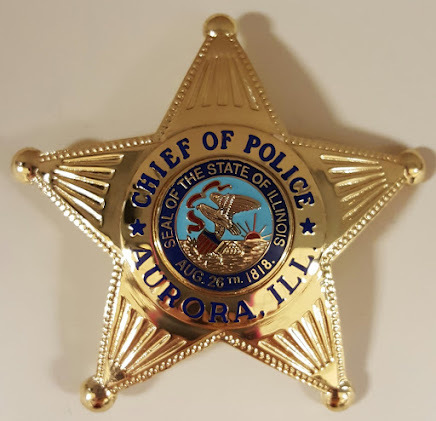 In the wake of this hatred, please know that your Aurora Police Department and the citizens of this city have our hands on your back.